Shaker Girls' School, Church Family, Mount Lebanon. 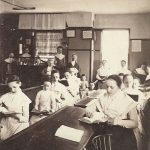 Shaker girls were educated equally to Shaker boys, an extraordinary fact in a time when access to education was circumscribed for both boys and girls by their wealth, class, race, and geographic location. If girls were allowed to go to school at all, their learning often focused on housekeeping skills such as sewing, cooking, and cleaning. And even if they learned to read, it did not necessarily mean learning to write, since writing depended on sometimes hard-to-come-by resources such as pens and pencils, ink, paper. Shaker children learned how to read, write, and perform mathematical calculations. The sisters also studied bookkeeping so they could manage their own accounting for the sales and purchases they made for the community. From the late 1830s through the early 1850s, the Shakers experienced the Era of Manifestations or the Period of Mother’s Work. During this time, some Shakers received mystical messages from Mother Ann, various departed elders and eldresses, and angelic beings. Called “gifts,” these visions or visitations manifested in drawings, hymns, dances, or even spells of laughing or spinning. Shaker sisters received these “gifts” in far greater number than the brothers, and the messages gave the sisters considerable spiritual authority as the instruments of communications from beloved and revered, but deceased, founders. Up until this time, Shaker women had little opportunity to write on theological topics, and this period gave them the opening to write and express themselves on matters of the spirit. By the time the girls came of age to make a decision to join or leave the Shaker church, many of them left, finding the outside world more desirable. 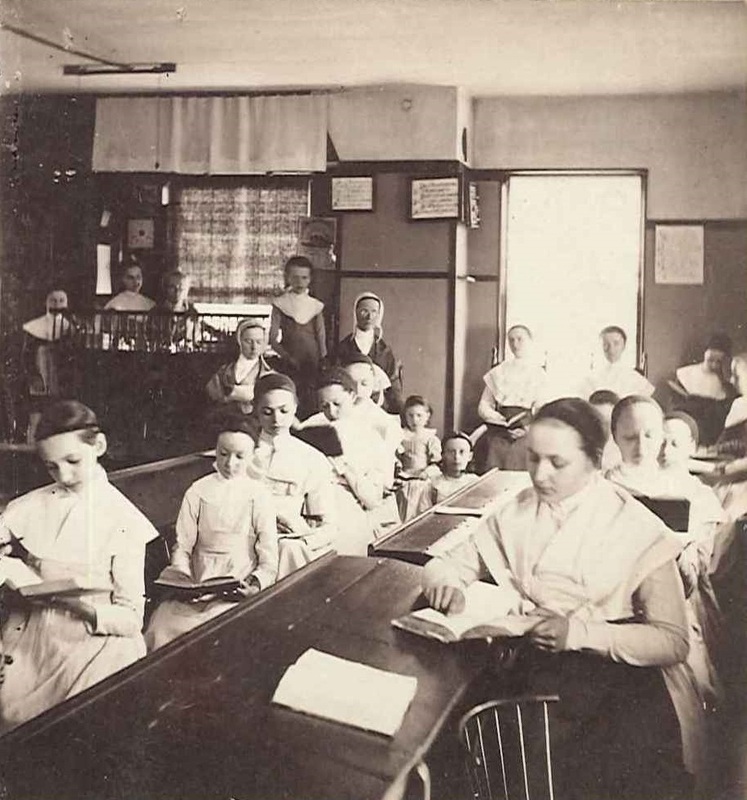 Their teachers attempted to combat this trend, offering musical instruction, literary clubs, and dramatic productions as a means of making Shaker life more attractive. Catherine Allen at Mount Lebanon led many of these types of reforms in the late 1800s, including establishing the Self-Improvement Society, an evening group for the young sisters where they could improve their habits and manners, in addition to developing an appreciation for beautiful and interesting things. Once a week, Sister Catherine and her young students would meet to discuss literature, share original poems, and read aloud.